Qualcomm has added three new ARM-based SoCs to their line-up today at MWC 2014: an updated flagship in the Snapdragon 801, and two new 64-bit SoCs known as the Snapdragon 610 and Snapdragon 615. To start with, the Snapdragon 801 MSM8974AC is a small update to the Snapdragon 800 designed to take the 32-bit SoC to its limits. Each of the four Krait 400 CPU cores are now clocked at 2.45 GHz (up from 2.26 GHz), the Adreno 330 GPU is now running at 578 MHz (up from 450 MHz) and the ISP is now at 465 MHz (up from 320 MHz). The memory interface in the Snapdragon 801 has also been improved, now supporting dual-channel 32-bit LPDDR3-1866 (compared to LPDDR3-1600 in the Snapdragon 800). eMMC 5.0 support is now included in the SoC as well, allowing 400 MB/s transfers from the fastest NAND going around. Connectivity support remains the same, with DS-DA (dual-SIM, dual-active) added to the frame. The Snapdragon 610 and 615 are the more interesting SoCs announced by Qualcomm today, both utilizing 64-bit ARM Cortex-A53 CPU cores. The Snapdragon 610 MSM8939 will come with four Cortex-A53 CPUs, while the Snapdragon 615 MSM8936 will be Qualcomm's first octa-core SoC (8 x Cortex-A53) in response to Chinese customers preferring more cores "whether or not they make a big difference." 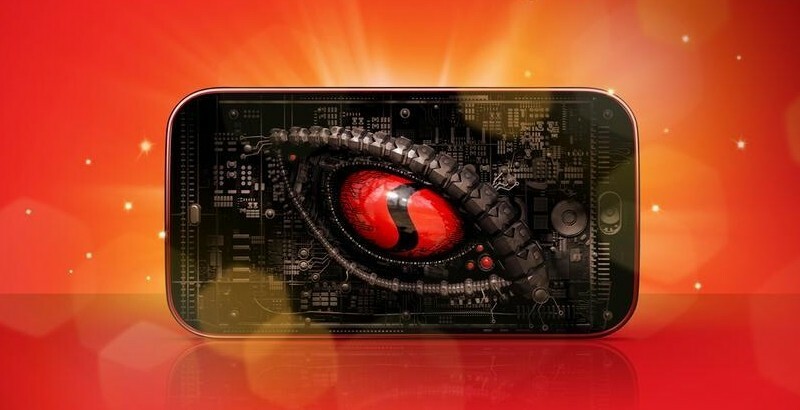 Interestingly, the Snapdragon 615 will actually feature two quad-core clusters, one for high-performance tasks and one for low-power operation. All cores are Cortex-A53, but it looks like one cluster will be clocked lower than the other; clock speeds weren't specified though. Aside from Qualcomm building the Snapdragon 615 more for a spec sheet than to push the limits of performance, both it and the Snapdragon 610 are quite similar. We're looking at a new Adreno 405 GPU, a single-channel 64-bit LPDDR2/3 controller, integrated LTE and Wi-Fi 802.11ac, and support for H.265 decoding. Unlike the Snapdragon 600, the Snapdragon 610 and 615 appear geared towards upper-mid-tier devices, rather than flagships. Qualcomm expects we'll see the new chips in devices starting in the fourth quarter of 2014.